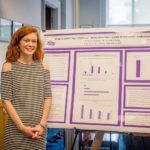 The mission of the High Point University (HPU) journal Innovation: Journal of Creative and Scholarly Works is to publish a journal composed of scholarly and creative works from High Point University undergraduate students. To fulfill this mission, the editors of the journal solicit works that represent a full range of disciplines. Must be a High Point University undergraduate student or recent graduate (within 12 months) to submit. 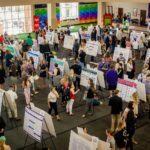 Recent graduates may only submit manuscripts completed while an undergraduate at High Point University. Must have conducted scholarly work under the mentorship of a High Point University faculty member. Manuscripts must be Times New Roman 12 point font, 1 inch margins, double spaced. Manuscripts should be formatted in the most recent editions of the citation style appropriate to one’s academic discipline ie: MLA, Chicago, APA. Submit graphs, pictures, images, as separate attachments. Attach as jpg, Word document, or Excel file. If work involves animal or human subjects include your Institutional Review Board (IRB) or Institutional Animal Care and Use Committee (IACUC) number in author cover letter. The work may not be under consideration by other publications. If the work was previously published in a limited access source, disclose the source to the editor. Student authors retain copyright ownership of their work. Articles and other materials in the journal may be freely downloaded, reproduced, and redistributed without permission as long as the author and source are properly cited. Text manuscript as a Microsoft Word document. Separate abstract of manuscript, 150-250 words. Sponsoring statement from HPU faculty member that specifically affirms the mentor has read and critiqued the manuscript content, grammar, and overall presentation and that the planning, execution, and writing of the manuscript represent the work of the undergraduate student. Cover letter by the student that includes the title of the manuscript, affiliation of student and mentor, and verification of the submission materials. Dr. Joanne D. Altman, PhD.